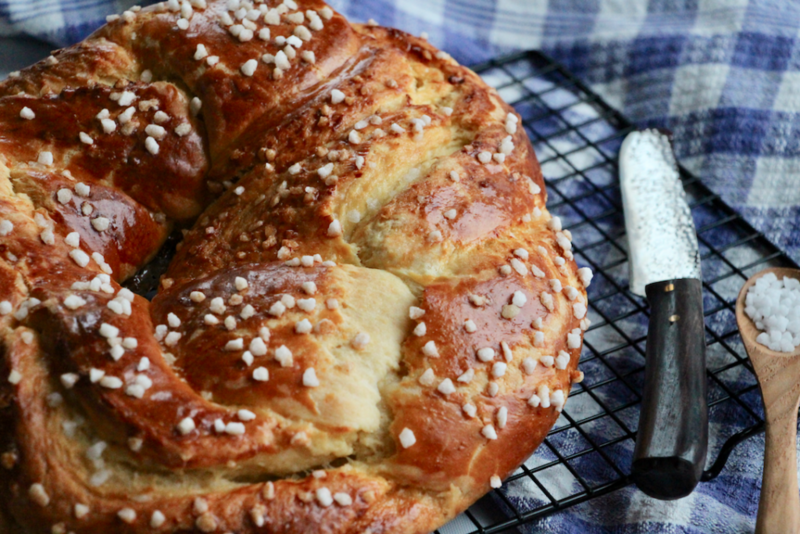 So I could have turned to my usual braided brioche recipe. That’s true, I could have. But I decided to go for the muslin brioche by Philippe Conticini!! 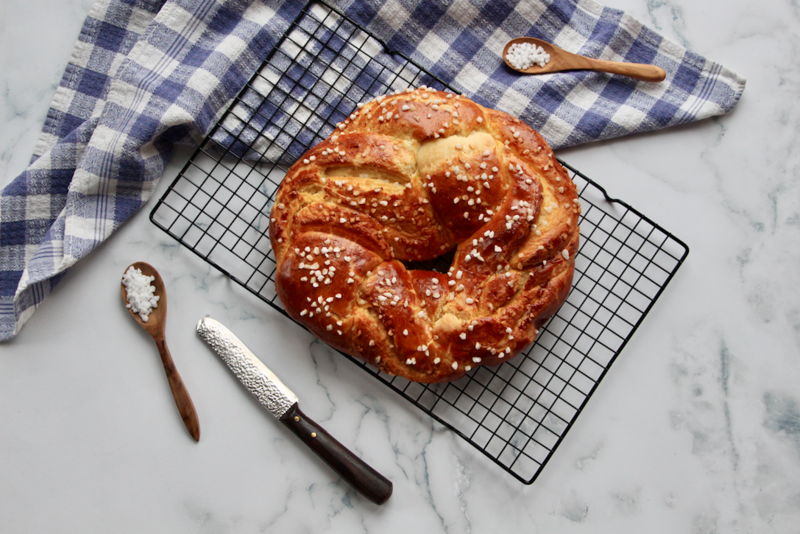 This recipe requires less rising time which can be a strong point depending on when you feel like making a brioche!! 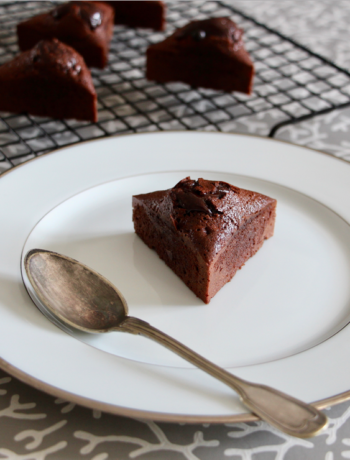 Its taste is amazing, and even though there is quite a large quantity of butter (yes I know…) it remains very smooth. 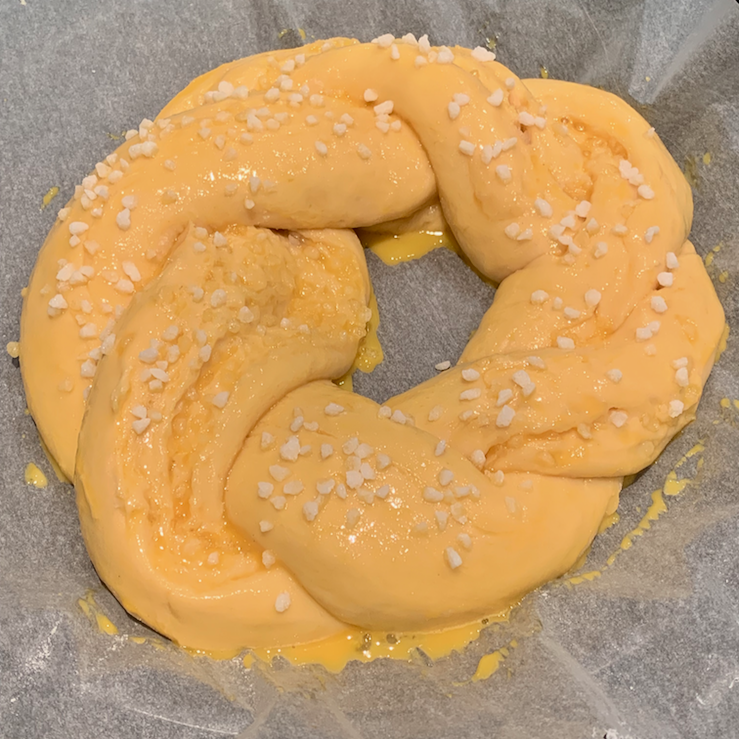 Chef Conticini suggests to bake it in a pound cake mold (in this case you will make 3 or 4 dough balls and place them one next to the other in your mold), but I like the 2 braids crown version. 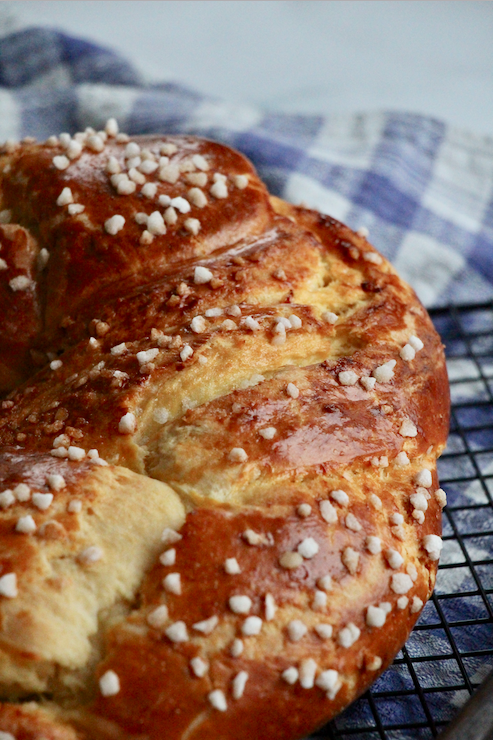 I think it gives the brioche a nicer look and this way I can add my favorite additional ingredients: sugar pearls or chocolate chips and cocoa. You can also make a candied fruit version, it will be delicious. Don’t hesistate to share your creations with me!! 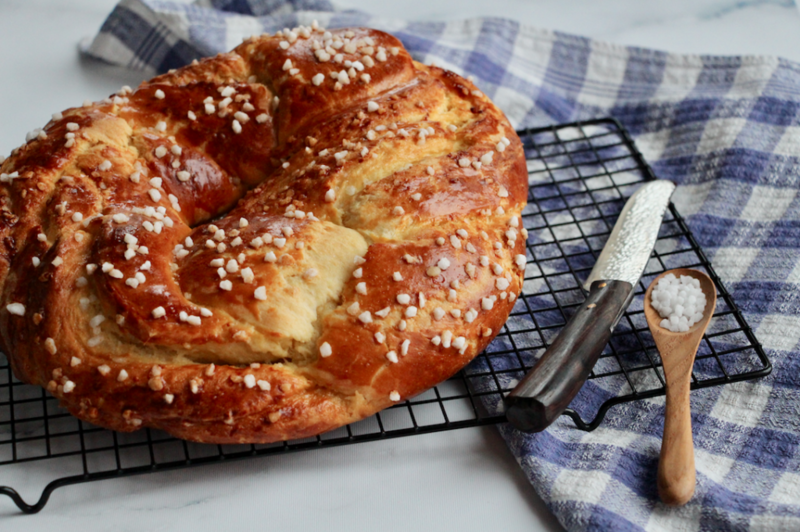 When you’ll be in the process of making the brioche, you might be surprised by the dough texture, sticky and heavy. It’s okay. 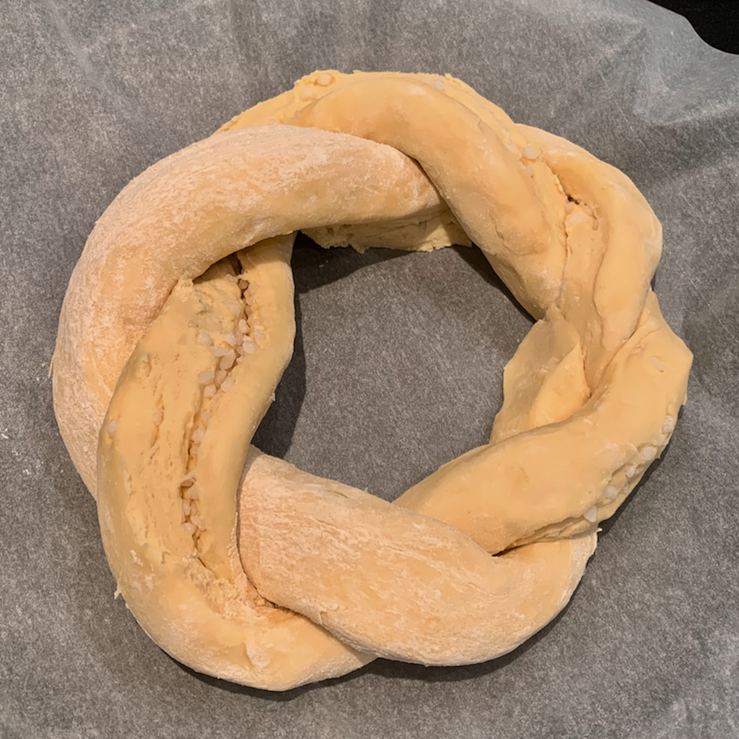 Work the dough when cold (sometimes I put it in my freezer for 5 minutes when I want to shape it) and spread flour on it. A tart or cake mold. Mix the yeast with the eggs (just taken out of your fridge). Pour the flour, salt, sugar in your foodprocessor bowl. Start kneading at low speed and add little by little the egg/yeast mixture. Stop and scrape the bowl with a spatula, bring the dough back to the center. At this point the dough is sticky and heavy. 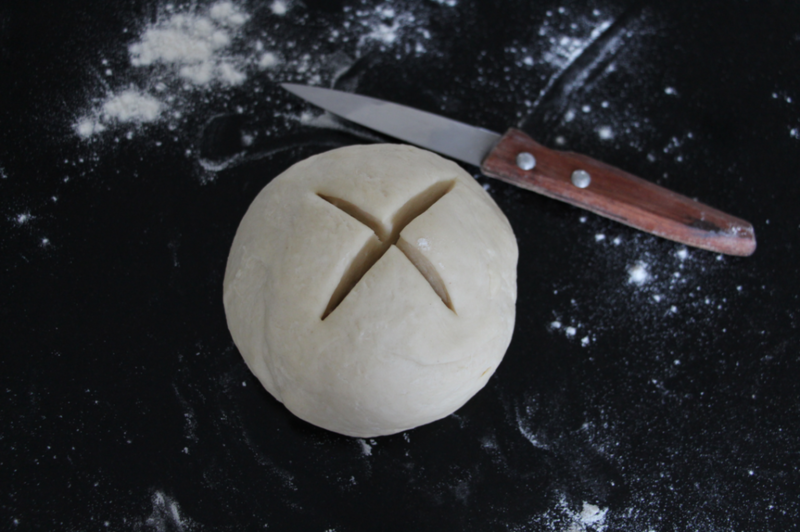 Add the butter cut in pieces and knead until you get an homogeneous dough. At this point scrape again the bowl with a spatula and add 1 or 2 tablespoons of flour if needed. Place a cling film on your dough and let rise for 30 to 45 minutes. It should double. 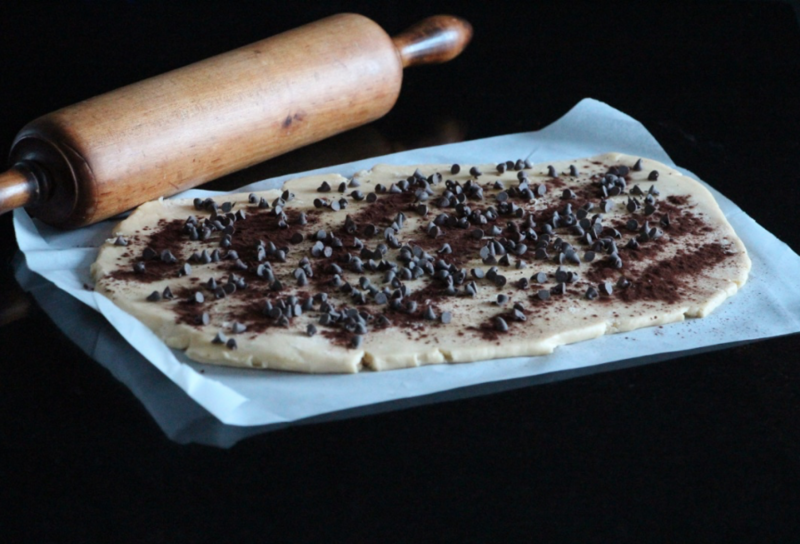 Work the dough, place it on a baking sheet, place a cling film and put in your freezer for 30 minutes. (you will stop the fermentation). 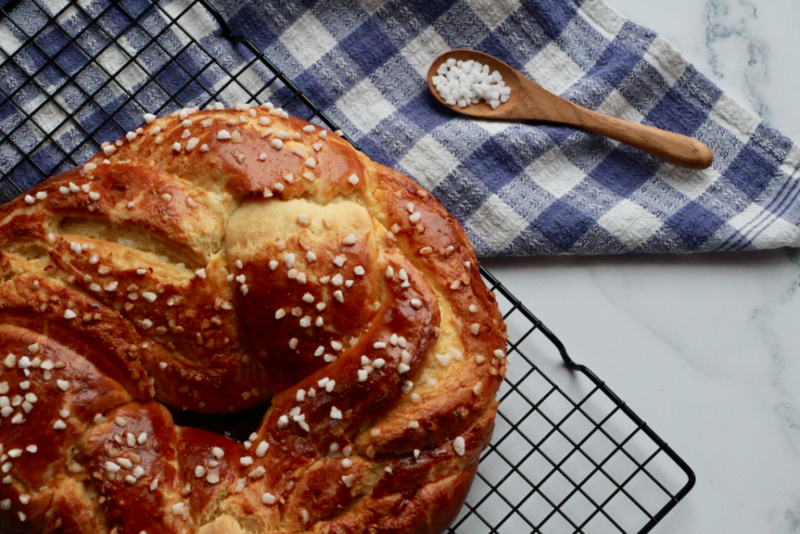 Remove the dough from the freezer, make balls or braids and shape your brioche. 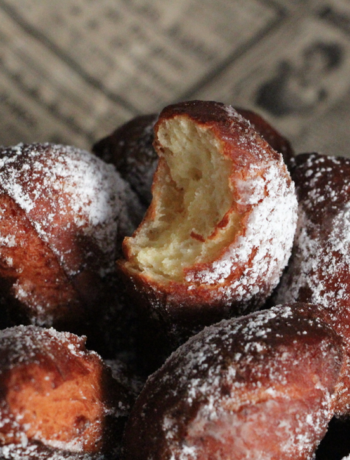 Spread flour if necessary. At this point you can add sugar pearls, chocolate chips, cocoa if you want. Let rise in a warm and humid room for 2 hours. 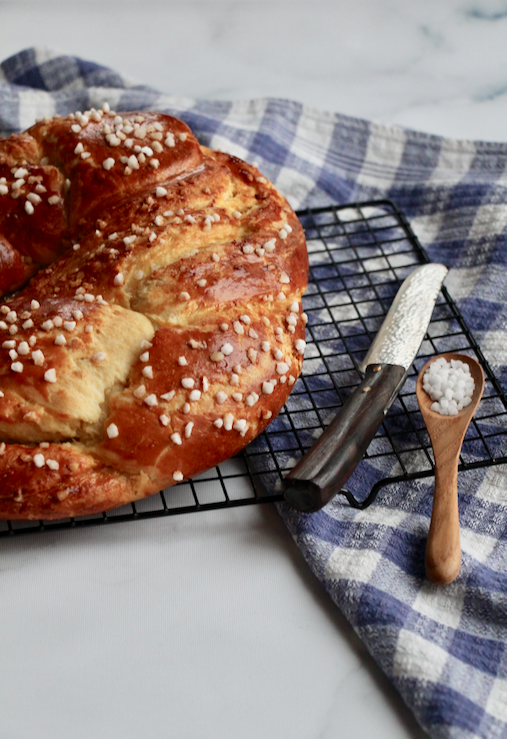 Brush your brioche with the egg yolk and milk mixture. Bake for 15 to 20 minutes (it should start to get golden), then lower the oven temperature to 150 degrees and bake some more for 10 to 15 minutes. Let cool down on a grid. 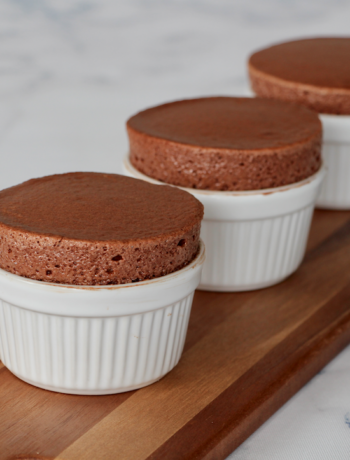 Ta brioche mousseline me fait vraiment envie mais pour l’avoir toute chaude sortant du four le matin au petit dej, ça me parait compliqué non? Je peux la laisser pousser toute la nuit au lieu des 2h prévues? Merci pour tes conseils, sa usual!! 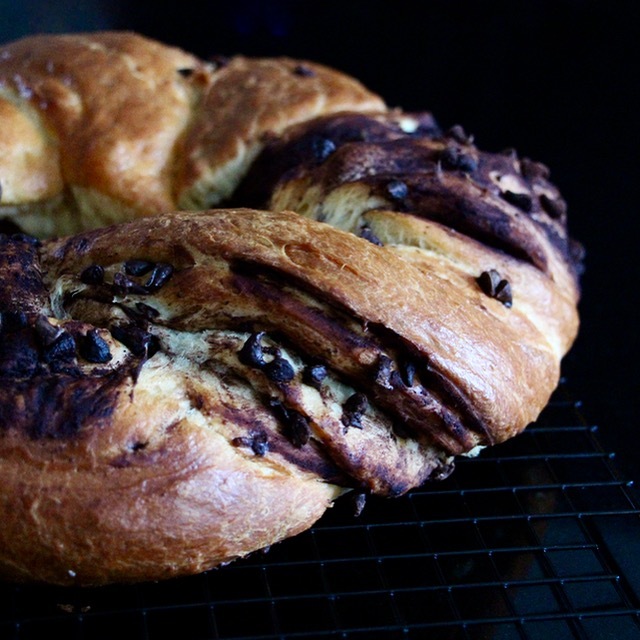 Hey Buddy!, I found this information for you: "Muslin Brioche". 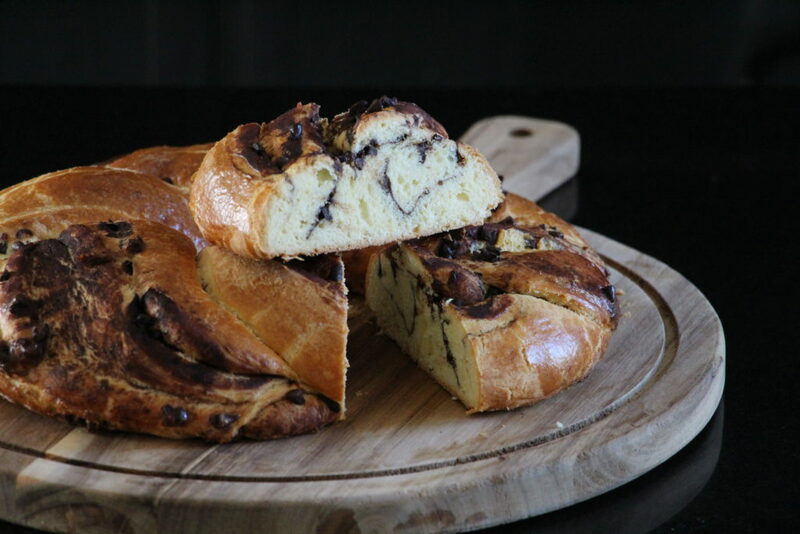 Here is the website link: http://www.casseroleetchocolat.fr/en/brioche-mousseline/. Thank you.